Whether you know it or not, you have an online presence. And it may be growing without any input from you. It’s time to take control of your Internet presence, engage patients online, and manage your online reputation. Your current and future patients are online, and they are listening to what others have to say. 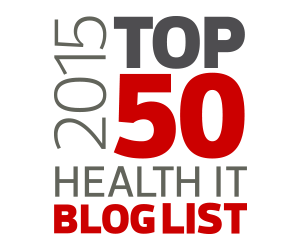 One in five Internet users has consulted online reviews and rankings of healthcare service providers and treatments. Staying competitive means being online, listening to what people are saying, and engaging in the conversation. Patients are increasingly looking for healthcare services online, and they expect you to be there and to be actively engaged. More than two-thirds of patients used online search prior to booking an appointment and over 40% of consumers say that information found via social media affects the way they deal with their health. If you’re not there, then you are missing an opportunity to build your business. 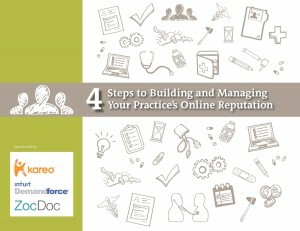 Download 4 Steps to Building and Managing Your Online Reputation to get started and get a handle on your online presence and reputation to grow your practice.